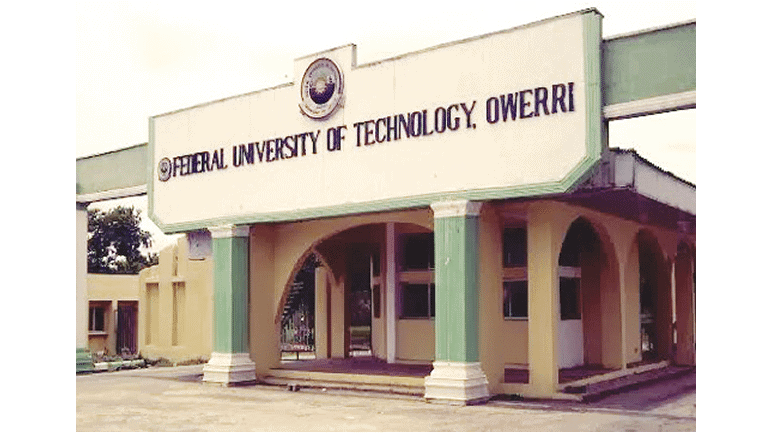 THE Federal University of Technology, Owerri, FUTO Acceptance Fee payment procedure for the 2018/2019 academic year for newly admitted students has commenced. The Federal University of Technology, Owerri, (FUTO) has just released the merit admission list of candidates who are offered provisional admission into the Institution for the 2018/2019 Academic Session and as such, has release the acceptance fee payment schedule for admitted candidates. All the applicants who sat for the screening test and are yet to check their admission status can do so by clicking here. The Federal University of Technology, Owerri (FUTO) Registration Guidelines and procedure for Freshmen/New students for the 2018/19 session. • Print your invoice and proceed to the any bank to pay using your RRR code on the invoice. • Alternatively, you can make payment using the online payment options with credit/debit cards such as Verve, Visa, MasterCards. • After successful payment in the bank and online, print FUTO admission letter and Confirmation of admission form. Obtain a Confirmation of Admission letter from the University Admission Officer (UAO) with the following documents. • Print your invoice and proceed to any bank for payment. • After successful payment in bank, return to the portal portal.futo.edu.ng and login with your account details to print FUTO school fees e-receipt with the RRR code on the invoice. • Undertaking form duly processed for stamp-duty at the Sub- Treasury. ** For students having issues with the above online payment process should contact FUTO ICT Unit specifying the issue and challenges they might be having. For more detail, please visit the official portal here. Please share this info with our friends on twitter and Facebook.